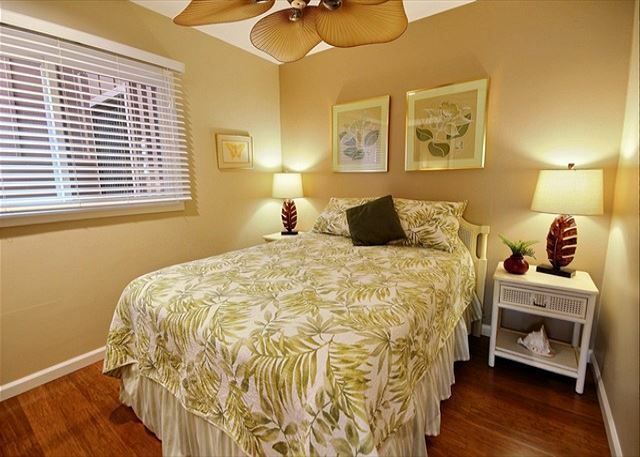 This townhouse is perfect for three couples or a large family. 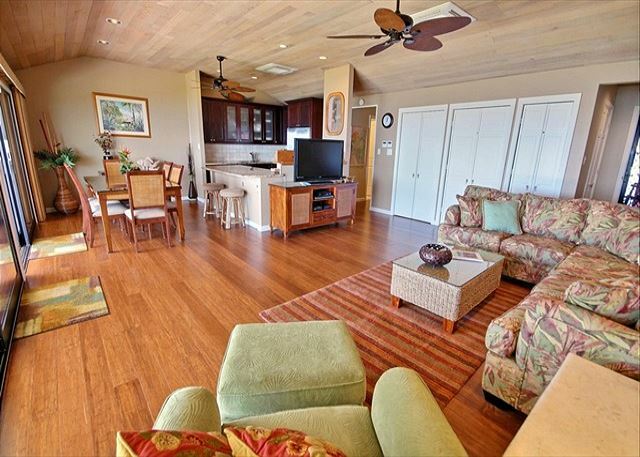 The spacious oceanfront living room offers picturesque views of the Pacific and leads out to the private back lanai equipped with a BBQ and comfortable outdoor dining area. 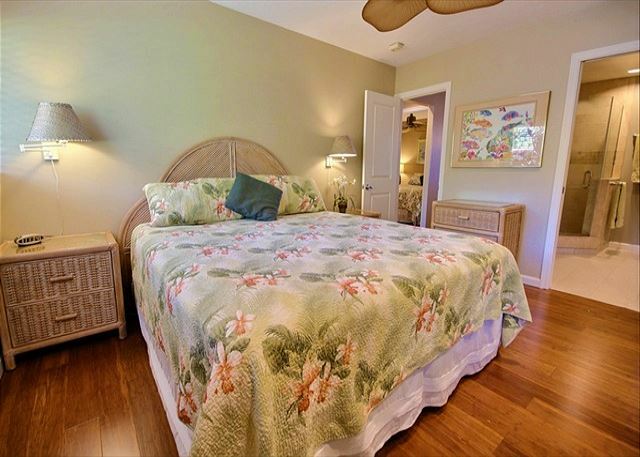 The master suite has a king bed; the second bedroom has a queen bed, and the third bedroom has two twin beds. 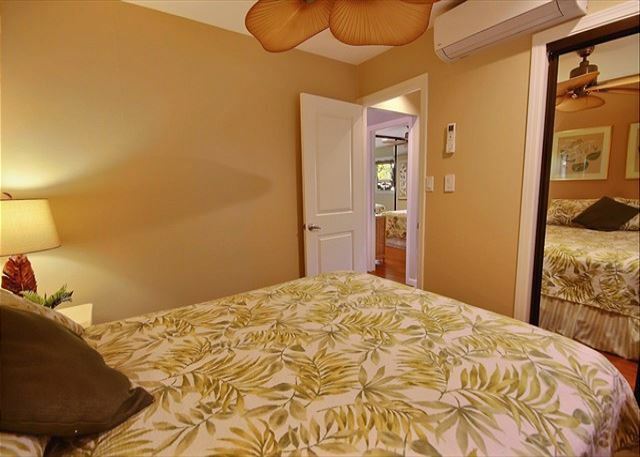 The unit just went through a complete remodel that includes central AC (each bedroom is individually controlled), brand new hardwood bamboo floors, and new tile in the bathrooms. 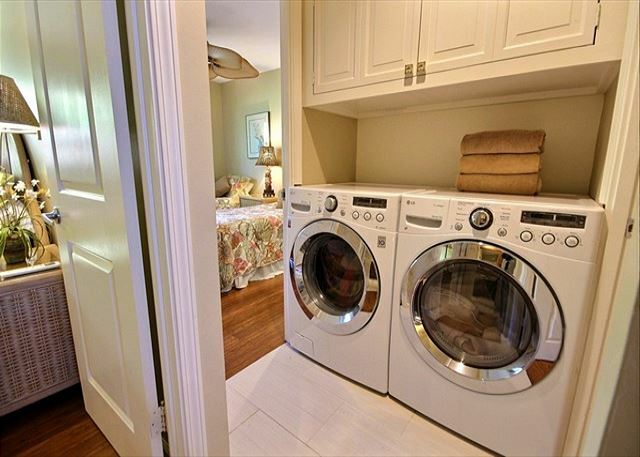 The unit is equipped with a full size washer and dryer, new living room furniture, new appliances, new linens, and has been newly painted throughout. 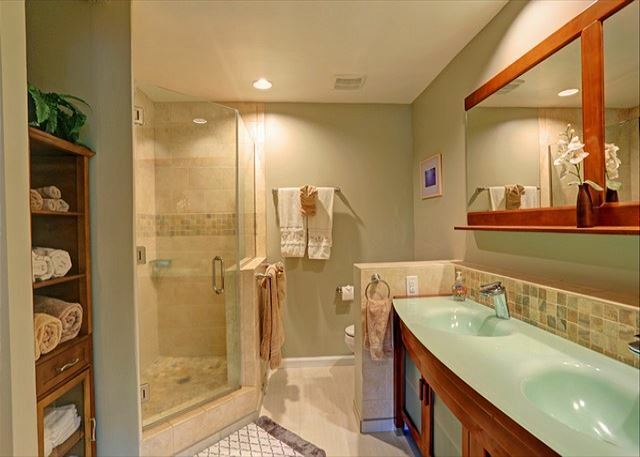 Both bathrooms and the kitchen were also totally remodeled. 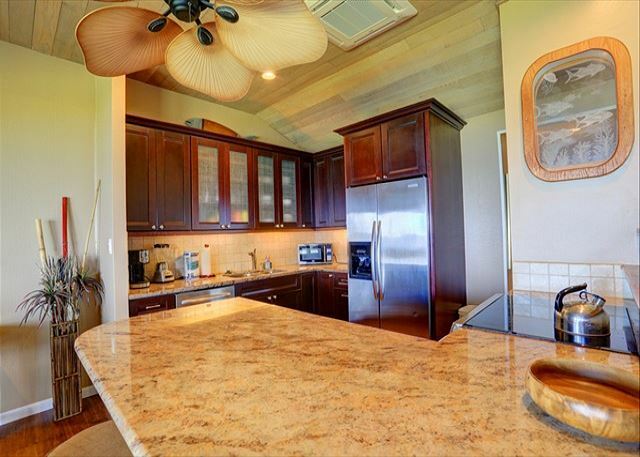 The upscale kitchen is very well-equipped with granite countertops and stainless steel appliances, and is a great place to prepare family meals for the large dining area or lanai. 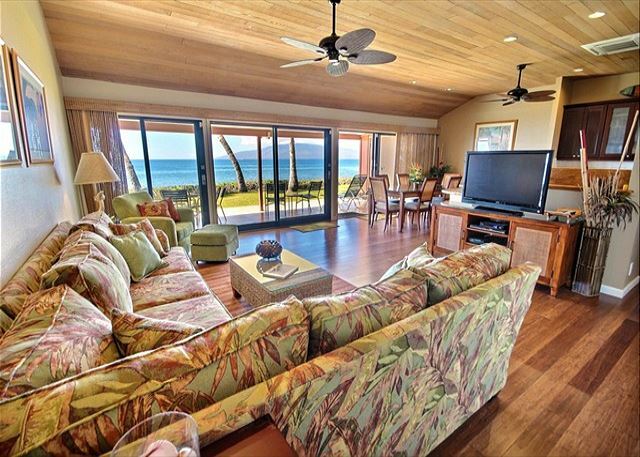 The new lanai sliding doors have pure view screens and dual paned tinted glass. 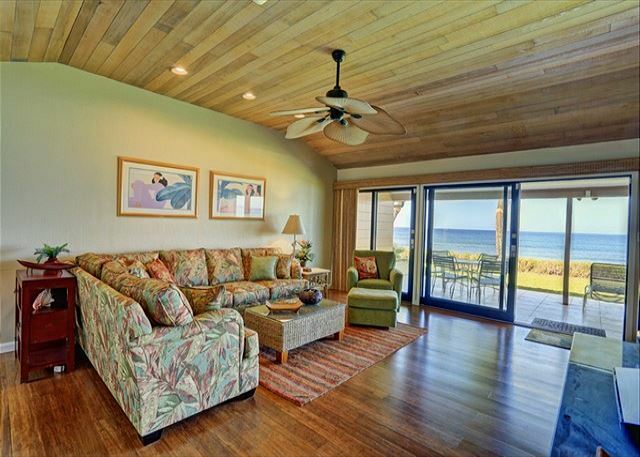 The large great room with dining area includes bamboo blinds and has unbelievable oceanfront views and sounds! 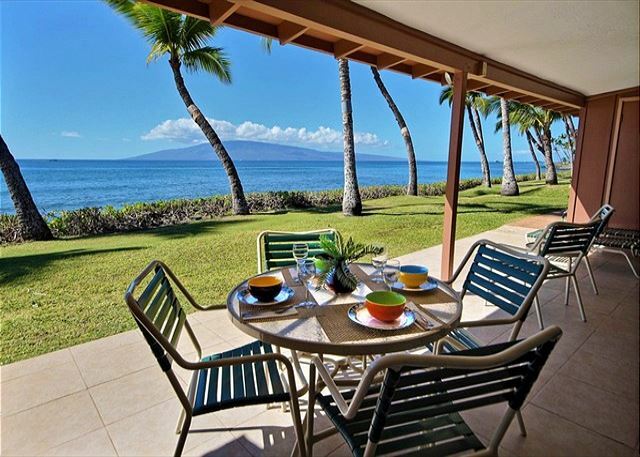 Dining on the private lanai is one of the best seats in Lahaina because of its unobstructed views of sunsets over the island of Lanai and breaching whales in the winter months! 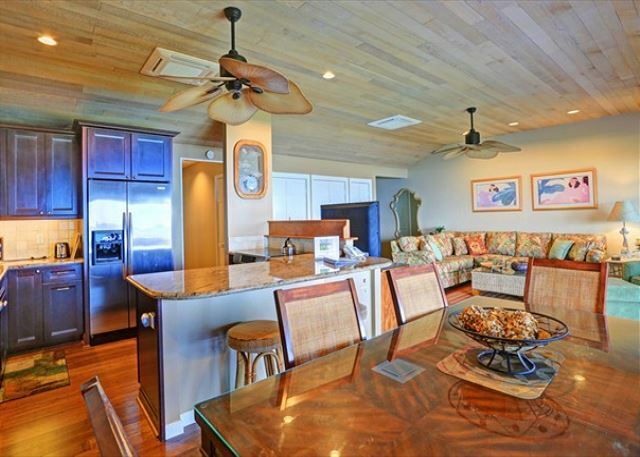 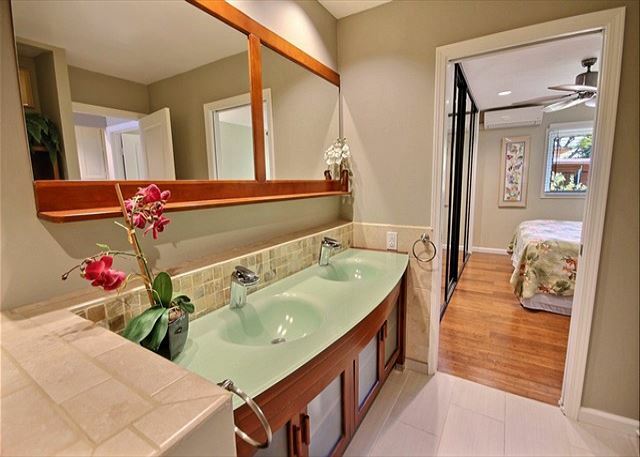 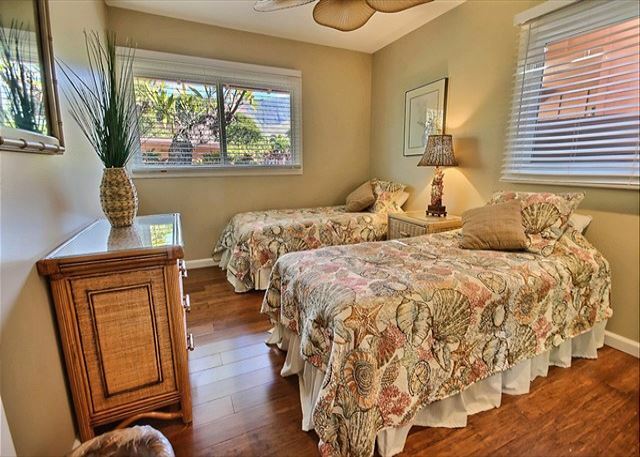 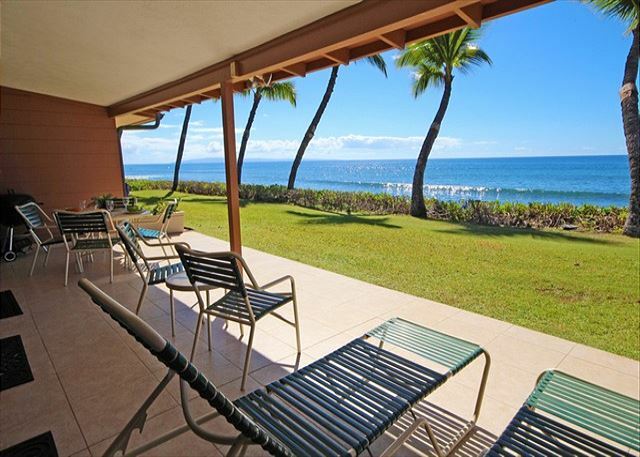 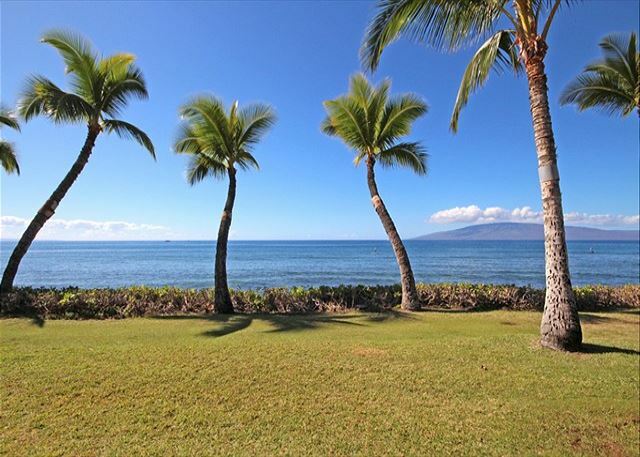 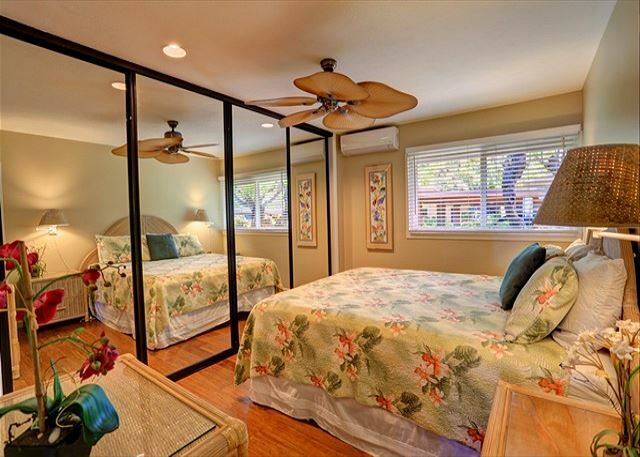 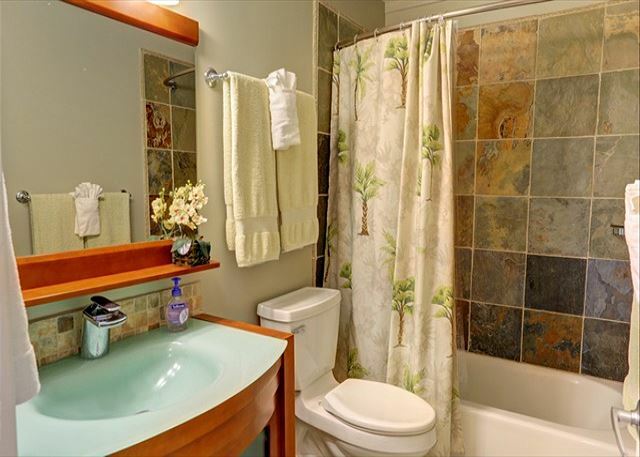 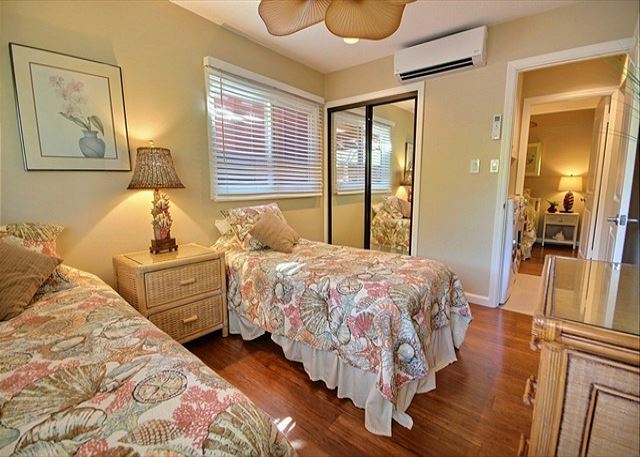 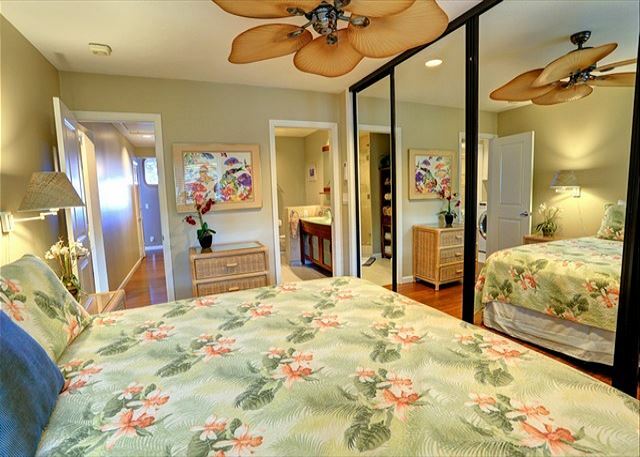 This fully air-conditioned unit also has plenty of ceiling fans and ocean breezes for a one-of-a-kind Maui vacation. 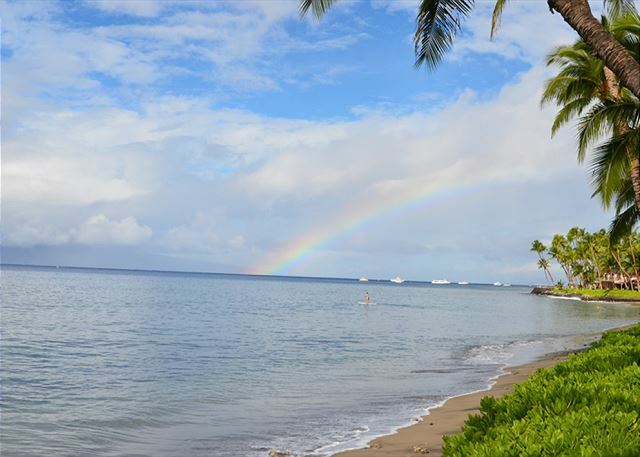 Enjoy the BEST of Maui!